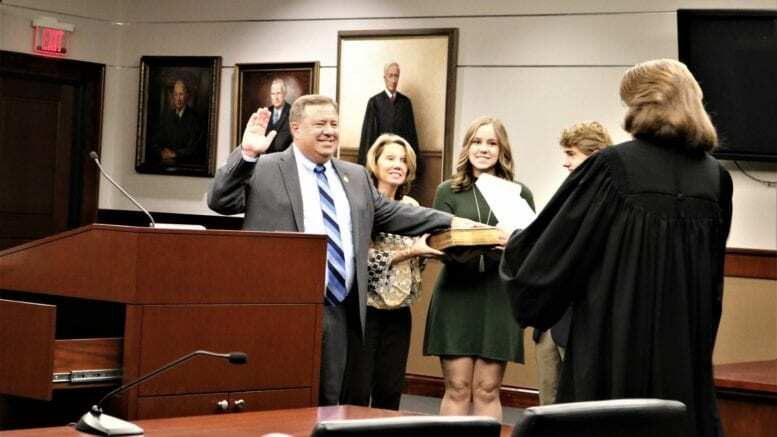 Cobb County District 2 Commissioner Bob Ott, in his periodic newsletter to his constituents, unloaded on the millage rate increase, which he voted against. He began by making a reference to District 4 Commissioner Cupid’s list of ways the new budget supported by the increase benefits her district. Ott wrote, “Many people have asked me why I voted no, so I thought it best to include my notes in the newsletter. I have also been asked, which was prompted by Commissioner Cupid’s newsletter stating how District 4 will benefit because of the millage increase and budget, what will District 2 get from this Budget and Millage increase? He wrote that he was disappointed in the way the tax increase was presented. “Putting forward to the residents the closure of the busiest parks, the busiest libraries, extensions services, 4-H and Master Gardeners. This tugged on the heartstring of all residents, young and old and the mission became save us and the focus was off what the budget is actually made up of,” he wrote. He wrote that the services that were being threatened were not proposals that came before the board for cuts. He repeated the suggestions he made during the Board of Commissioners meeting when the budget and the millage rate increase was approved. He said Cobb should move to a regional library system rather than increasing hours of operation, pointed to the National Recreation Area’s implementation of pay parking to fund park maintenance, suggested converting existing county pension plans from defined benefits to 401k, and suggested that fewer CobbLinc bus routes be run. As everyone knows the Millage rate and the Budget passed 3-2. Many people have asked me why I voted no, so I thought it best to include my notes in the newsletter. I have also been asked, which was prompted by Commissioner Cupid’s newsletter stating how District 4 will benefit because of the millage increase and budget, what will District 2 get from this Budget and Millage increase? Sitting here tonight and listening to the many people that have voiced both support for the increase and non-support Its time to tell you my perspective of this millage increase and budget. I am disappointed in how the need for a tax increase has been presented. Putting forward to the residents the closure of the busiest parks, the busiest libraries, extensions services, 4-H and Master Gardeners. This tugged on the heartstring of all residents, young and old and the mission became save us and the focus was off what the budget is actually made up of. Back in the 2016 SPLOST proposal the board collectively worked on a list to put to the voters. I first rejected the idea of having a SPLOST for 6 years because it would be hard to project what the county’s real needs would be that far out. As a result of this 6-year SPLOST I now have no more money for sidewalks, there is not enough money to take care of deteriorating roads and the county can’t even get them on a cycle for repaving. We are only in year 2! I proposed in the 2016 SPLOST that 9 million additional dollars be added to buy the police even more new vehicles than originally proposed. This was removed to pay for other’s wants of things not the NEEDS of the county. I even agreed to less money for district 2 sidewalks to pay for these cars and I was turned down. So why am I talking about the SPLOST, it’s a done deal. I am talking about it because this is how this budget, in my opinion was created. When we had the retreat in Oct. Commission Weatherford and I came up, on our own, a way to save 50 million out of the budget. Some of my proposals were to consolidate the libraries that are under-used, outsource some departments in the County and to work on transportation to run fewer buses, maximize their capacity and look at the utilization of UBER and LYFT vouchers to take people to the main lines of the fixed routes. None of our proposals or plans are included in this budget. To all county staff, I value you and I do think that you work hard at your jobs. I am not the bad person when I talk about your pension. I will never agree to take what you have earned and put into your pension, but this pension plan has to change, it is simply not sustainable in its current form. I proposed a change 4 years ago. The pension is at its worst funding level it has ever been. 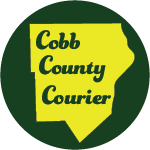 Many companies have changed – large multi-billion companies that were hit hard in the recession changed – but not Cobb. I proposed in this budget discussion to stop funding this type of pension – this does not mean that the employees loose what they put into their plan. It will be there when you retire. But the county needs to move into a 401K plan where the county can put in a % and the employees can put in money that they feel is appropriate to reach their goal in retirement. The money will then be yours and in your name. The worst vote I have ever taken was when, a year ago, I voted yes for the Pay and Class. I do not feel this was fully vetted out, it was a rush job to get it to a vote, I do not believe the staff had the time to really address the implementation and the impact, but most importantly who really benefitted. Now we have a reoccurring cost of a flawed plan and we must continually make adjustments for fair compensation for positions not originally covered under the plan. These adjustments just add to the overall cost of the plan. This proposed 2019 budget does not have any increases for staff – merit or bonuses. In fact, it was stated by the Chairman that that this will be looked at in 2020 by taking the money that is paying for vehicles and reallocate it to staff salaries. And this is one of the very statements that helped me formulate my NO vote for this budget. We have been kicking this car replacement plan down the road for so many years that we have depleted our fleet and it has been costly to the county to maintain and the statement that we can use this fleet maintenance money for bonus or incentive money has me perplexed. Another item on this budget is the General Fund Admin and Contingency. Most ask, why are there so many contingencies, how will they be used? Let’s use the example of funding for more police. It is important to understand the difference between “authorizing” positions and “allocating” for these positions. When new positions are created in a budget they are authorized by the board. It is not until money is allocated to each of the new positions can one expect to see new officers on the street. This budget authorizes the creation of 23 new police officers. It does not, however, allocate funds directly to fund the positions. Instead, it places the $2.6M in the General Fund Admin and Contingency bucket. Why is this important? If the funds were placed directly to fund the positions, it would require the BOC to identify in an agenda item that a particular position was being unfunded if that money was to be used somewhere else. With the money placed in a contingency bucket, the agenda item would never need to tell you, the citizens, that a particular position was being unfunded. I’m sure you will be told this will not happen. But consider the following scenario. On average, police and the sheriff have 20 – 30 unfilled positions, which is very close to the 23 new officers being created in this budget. When positions go unfilled for the entire year that money is now available to be spent somewhere else. Wouldn’t you want to know that it was being removed from a police or sheriff spot vs the agenda item simply stating the money was coming from contingency? One final thought on police. I don’t believe this budget addresses the retention issues at the police and sheriff departments. What is really needed is a grade and step pay system similar to what is used in the military and our schools. Additionally, the county needs to give the police the same priority in the budget by creating the equivalent of the Fire Fund for police. Moving on to the libraries. It is simply not sustainable to move forward keeping all the existing libraries open. Additionally, both the Citizens Oversight Committee and the Library Board of Trustees have recommended moving towards a regional library concept. Both studies were done prior to existing population densities and new developments around the county, thus requiring a review of the assumptions used in the previous recommendations. It is clear, simply looking at geographic locations without considering population densities and usage of existing libraries will not result in an acceptable alternative. Just closing libraries and building new regional libraries is not the only solution that should be considered. For those areas that may lose their local library, the county could change the use of the closed libraries into reading rooms or community space that could potentially provide rental income to the library system. Parks and Rec is another area that has come up numerous times during this budget discussion. I want to focus on the county parks, specifically the parks with nature trails, and open space, not those with playing fields and such. As an example of changes that could be made, let’s look at the Chattahoochee NRA, specifically the Cochran Shoals area along the river between Columns Drive and Powers Ferry. About 6 – 8 years ago the trails at Cochran Shoals were rutted, washed out and there was constant trash around the park. There wasn’t any money to repair the restrooms or deal with the growing beaver population which was flooding out many of the trails. To address the shortfall, the National Park Service instituted a parking fee in the lots at each end of the park. To allay people’s fears of the money simply being collected and going back to Washington, NPS adopted a policy that any money collected at the Cochran Shoals Unit could only be spent at that location. Today, Cochran Shoals is one of the busiest NRA in the metro area, with pristine trails, no washouts and clean restrooms. The cost for this is $5/day or $40/year. But there is more; if you are a senior the cost is $20/yr. or $80 lifetime. The result of these new fees has not been what you might think. Instead, the parking lots and trails are full of cyclists, runners, and walkers. Another big area of discussion has been the need for $16M of vehicle replacements. Let me make clear my belief that all public safety vehicles should be new and are a high priority. The issue I see is the direction to take on the rest of the requested replacements. As the liaison commissioner with Fleets I have asked staff to explore purchasing rental car fleets vs new vehicles. Many folks around the county know the value of purchasing used vehicles to save money. The average rental fleet replaces their cars at around 30,000 miles. The county generally keeps cars until they reach 200,000 miles or more. A rental car fleet would still have plenty of useful life. There are other factors that staff is still exploring. But before deciding on the best way to replace county vehicles, a full accounting of the county fleet needs to be completed. This review needs to not only identify what the county has but who has them and why. The initial review would suggest not all vehicles are needed and don’t need to be replaced. For example, the county has owned, for quite some time, two coach busses which are hardly ever used but attract dust and require maintenance. They have been identified to be sold. Another way to reduce the replacement requirements and cost is to look into forming a county motor pool or car pool fleet. These vehicles could be signed out, at a department’s expense, when needed and would result in a reduction in the total vehicle count and man hours required for maintenance. As a part of SPLOST 2016, the voters approved a new vehicle maintenance facility that will increase the number of service bays. Currently, the county has a few in-source contracts to service other jurisdiction’s vehicles. Although no additional personnel were requested when the DOT budget was brought forward to the Chairman, this budget adds four additional personnel. As the Liaison Commissioner to Support Services I had told Fleets that until they had secured more in-source contracts that could cover the cost of additional personnel, they needed to wait before asking for more personnel. Doing so would keep the extra personnel costs from adding to the General Fund. So in closing, before this board is a budget not begun from cuts or reduction of duplication of services, but instead it began from a $21M infusion of one time money. Added on top of this are more employees, bloated contingency funds and additional library hours resulting in additional personnel, even though there has been discussion of reviving the regional library plan next year. Commissioner Weatherford and I both identified potential cuts back in October and most have been rebuffed since. Is my list the only answer, of course not? Many have expressed concern about my call to scale back Animal Services. I’ll state again, as I have in the past, nothing on my list is absolute. However, since I started with a .5 mils tax increase, if I add back the .2 mils required to keep Animal Services as is, I am at .7 mils not 1.7. Beyond that, I have stated my willingness to even consider other additions as long as the overall increase along with the over 9% digest increase are considered. The county’s digest is at the highest level it has ever been. It is inconceivable to me the size of this tax increase. This budget and millage request remind me of SPLOST 2016, full of wants and not identifying the true needs. Maybe it should be called SPLOST 2016 version 2. Be the first to comment on "Bob Ott unloads on millage increase in newsletter"